Our President and CEO, Sheila Bugdanowitz, passed away suddenly in December 2016. Sheila had stewarded the organization since 1998. 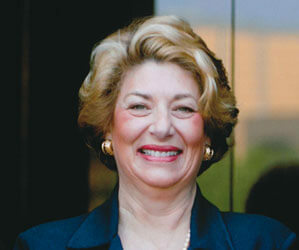 Her leadership shaped what Rose Community Foundation is today. Sheila was legendary for her deep connections and relationships. We grieve the loss of her leadership and her warm and generous spirit, which echoes through the philanthropic community and the community as a whole. In December, Chief Financial and Operating Officer, Anne Garcia, was appointed as Interim President and CEO so that the Foundation could continue its important work in the Greater Denver community without interruption. The Greater Denver community has been extremely supportive of Rose Community Foundation as we mourn Sheila’s loss and prepare for a leadership transition. We are grateful for all of the offers of sympathy and support from the community. Sheila was energetic about mentoring and guiding emerging leaders in the nonprofit community. To honor Sheila and continue her work, Rose Community Foundation has established the Sheila Bugdanowitz Leadership Development Award. This annual award will recognize, empower and support emerging professionals in the Greater Denver nonprofit community in the Foundation’s five program areas. If you would like to contribute, you can make a gift in Sheila’s honor to this award fund. To donate, visit our donation page by clicking here. Then, select “Sheila Bugdanowitz Leadership Dev. Award” from the “please direct my gift to” drop down list. Gifts can also be sent to 600 South Cherry Street, Suite 1200, Denver, CO 80246. We are excited to remember and honor Sheila year after year. We miss her every day, yet we know she would want us to keep moving forward. We know we need a dynamic person to lead our work into the future. We have engaged a search firm (Isaacson, Miller) to help us with this difficult but important task. Information about the search for our new President and CEO can be found at our search firm’s website: www.imsearch.com/6188. We will continue to keep you informed as the search progresses. As always, thank you for supporting our work to enhance the quality of life of the Greater Denver community.